Put your competitive spirit into high gear and start brainstorming for this year’s Congress costume contest. As you plan, stay tuned for the upcoming Regional Advisor virtual meetings. APA is introducing new policies and resources for chapters who request a National Speakers Bureau member to speak at their meeting or event. APA Chapters will soon have the opportunity to show off their specialties in these three Annual Chapter Contests. If you had an award-worthy statewide event, chapter website, or photo album in 2018, enter for a chance to win national recognition! The 2019 Chapter of the Year Contest (COTY) allows chapters to showcase their successful enhancements, events, and operations. Follow these helpful tips as you prepare your contest entry to better your chances of winning. Chapters across the country celebrated their payroll professionals and served their communities during National Payroll Week last week. 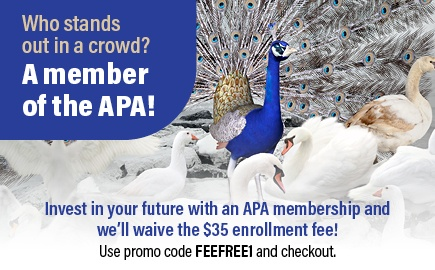 Learn more about NPW contests, the Chapter Leaders Blog, and discounted APA membership. Follow the hashtag #APAchapters and join guest tweeters, Region 3 Advisor, Jennifer Cordes, CPP and Region 7 Advisor, Jon Schausten, CPP to discuss "Meeting Planning for Chapter Events." Attend a chapter event near you! 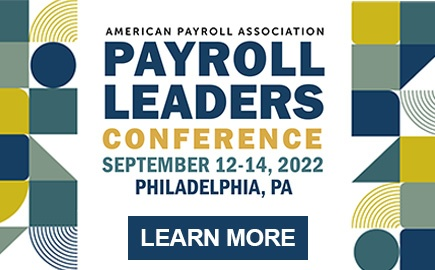 Local payroll conferences provide excellent opportunities to network, earn RCHs, and advance your payroll knowledge. Take a look at the One-Day Events, Statewides, and Regional Meeting scheduled for 2018. Register for the 2018 Chapter Leadership Summit by July 31 and save the date for an upcoming Twitter Chapter Chat! In honor of National Payroll Week, APA hosts annual NPW contests to recognize and reward the efforts of those who serve the community and educate today’s workers and the workers of tomorrow. 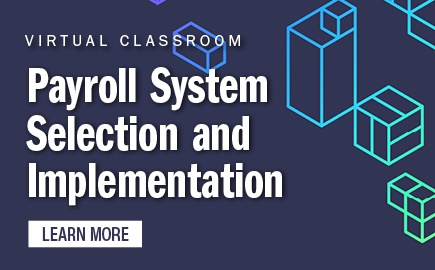 Learn more about each contest and enter for a chance to win a free registration to APA’s Annual Congress, an APA seminar, or a copy of the Payroll Source Online! On November 9-10, 2018, chapter officers from across the country will gather at MEET Las Vegas for the Chapter Leadership Summit. This free event, sponsored by Global Cash Card, will provide an opportunity for chapter officers to network and train together for the betterment of their chapter. Join Us for Chapter Events At Congress! Whether you are a long-time chapter member or interested in joining one for the first time, be sure to check out the many chapter activities at the 36th Annual Congress, May 15-19, in National Harbor, Maryland. View Article: Join Us for Chapter Events At Congress! 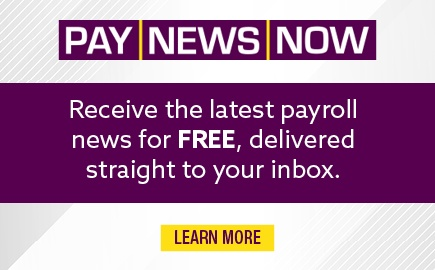 We are always looking for new stories to share in the Chapter Network section of the APA’s PAYTECH magazine. Tell us about your experience at a local chapter meeting, study group, or event for the chance to be a published writer! Save the date for these upcoming chapter contests.